Rommel’s horse serving on the staff of Field Marshal Montgomery after his defection to the allies in 1945. Underneath every great general there has always been a great horse. Very few however have gone on to achieve lasting fame. This is due in part to their short life expectancies, some generals having been known to go through up to eight horses in a single battle. However, the failure of horses to achieve positions of real political or social importance during the early modern period was mainly due to their low levels of literacy and lack of social confidence. Obedience, affection, cleanliness and good posture were seen as the primary virtues desirable in the equine classes, leading to the neglect of their literary and scientific education. A fine, brown Oldenburg stallion, with beautiful hair, Streiff was named after his first owner, Mr Streiff. One day, through the smoke and blood of the Thirty Years War, the eye of the Swedish king fell upon the glossy flanks of the noble Streiff (the horse). It was love at first sight. He immediately paid Streiff (the man) the fabulous sum of 1000 thalers for his brown-eyed beauty. Back when Sweden brought ruthless, bloodthirsty war to Northern Europe, rather than cheap furniture. In 1632, the fabulously well known Swedish hero-king Gustavus Adolphus (saviour of Protestant Europe, “Lion of the North”, etc.) 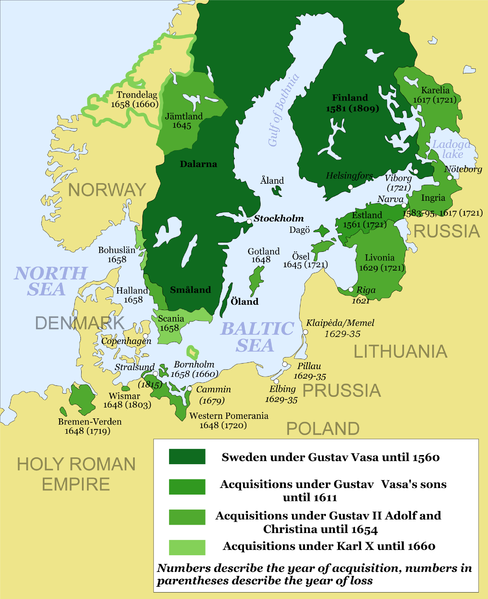 was at the height of his powers, having founded the Swedish Empire (yes, Empire), written, directed and starred in Sweden: The Golden Age, and was busy giving the Catholics a damned good thrashing in the Thirty Years’ War. On the morning of the 6th November, Gustav and Streiff advanced bravely across the fog-shrouded battlefield to lead the Swedish cavalry charge at the battle of Lützen. 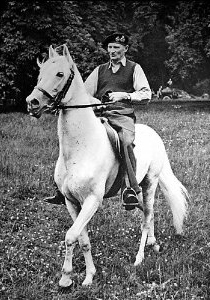 No one saw exactly what happened next, but when the fog cleared, only Streiff was visible, galloping riderless and bloody between the armies. Streiff currently measures 146cm (about 15 hands), but is thought to have been slightly taller before his death. Streiff died shortly after the battle of his wounds and was taken back to Sweden with his fallen master. Unlike Gustav however, Streiff was carefully skinned, stuffed and mounted on a hollow wooden frame. He survives to this day in the Swedish Royal Armouries, and despite having his ears and nose singed in a seventeenth century fire, is looking pretty sweet for 390. Gustav proved less durable and Queen Eleonora was forced to bury him after only a year of crying over his rotting corpse. 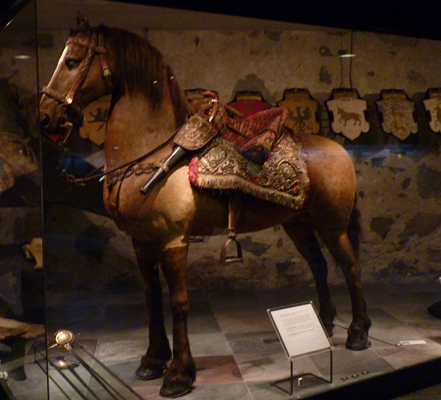 Another of Gustav’s horses is currently held by Ingolstad City Museum. 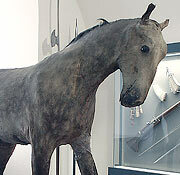 The unnamed equine was shot from under the king during his unsuccessful siege of the town and kept by the inhabitants as a trophy. In 1698, Peter the Great was travelling back from a grand embassy of Europe when he saw the prettiest little filly he’d ever seen. She was small and slim, with glossy chestnut hair and long eyelashes. As a man fond of chasing tail, Peter was immediately smitten and offered his old horse, plus 100 ducats for her (oh the infidelity of men!) He named her Lissette after his favourite dog and/or mistress. Lisette was a Karabakh (or possibly an Akhal-Teke) – a tough breed from the Caucasus used for racing. She proved to be high-maintenance, maltreating her grooms and accepting food only from Peter so that she nearly starved when he was absent. 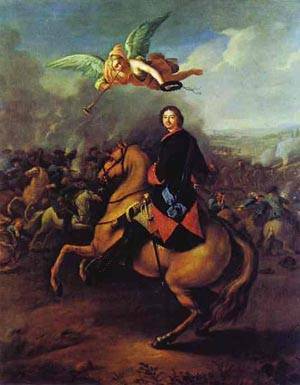 In 1709, Peter the Great met Charles XII of Sweden in the finals of the Great Northern War. 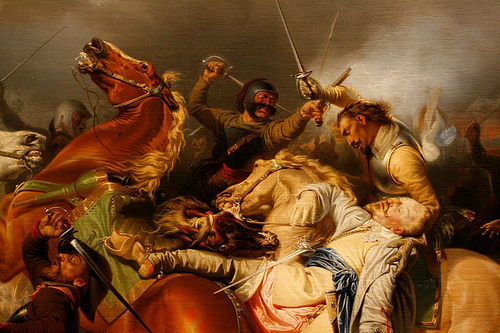 During the Battle of Poltava, which the Russians unsportingly won by turning up with three times as many troops, Lisette famously saved the Tsar’s life by shying from a gunshot so that the bullet hit her saddle rather than Peter. Most horses, of course, stand stock-still when a nearby gun goes off, callously allowing their riders to be shot. Peter rewarded her with early retirement and a good posthumous stuffing. 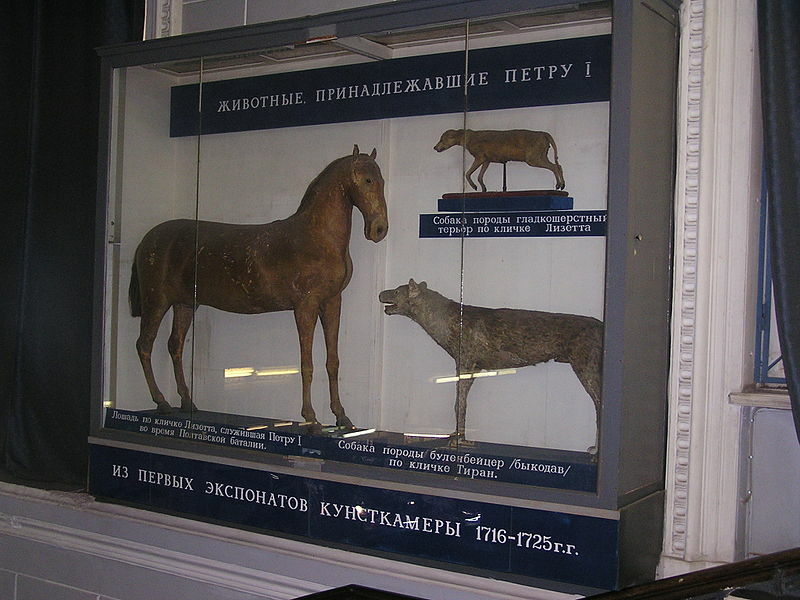 Lisette now lives in the Zoological Museum in St Petersburg along with two of Peter the Great’s dogs (one of which was also called Lisette). Lisette, Tirana and Lisette ran out of things to talk about in 1832. They now communicate only via barbed comments on the facebook page “Badly Stuffed Animals”. 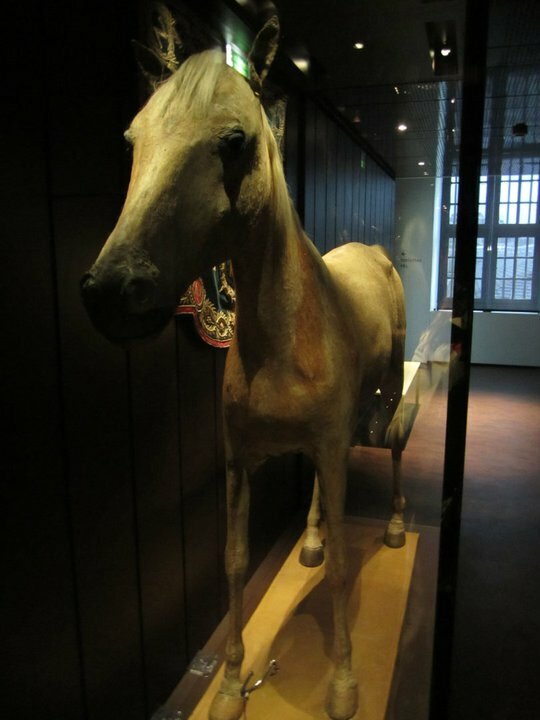 One of the taxidermists involved in their care recently made this statement via Google Translate: “Once, while moving stuffed Lisette from one room to another (this is almost a kilometer), I broke his leg – the floor is uneven horse caught the back foot and began to fall! I grabbed the large, keep struggling, but the horse still welled!Benefit that was a weekend, visitors to the museum were not, there was no boss.” The museum is currently raising funds for an airtight case to keep moths out. This kind of indignity should be reserved for dinosaurs and dead Conservative prime ministers. 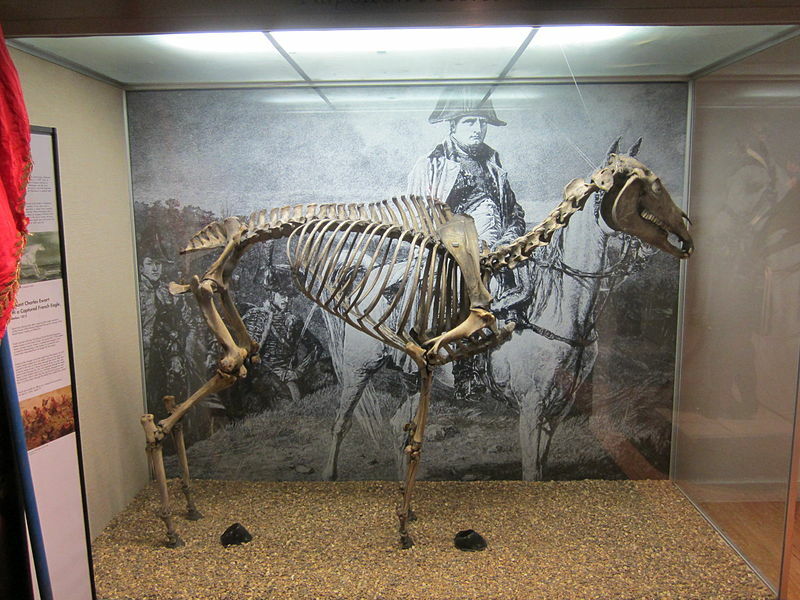 Napoleon’s most famous horse, Marengo, was shamefully left unstuffed when he died in 1830, the grenadier guards who then owned him only seeing fit to have his skeleton articulated (minus the hoof they had turned into a snuff box). Being an Emperor, Napoleon had second best horses for work days, one of which was Vizir, who was given to him by the Sultan of Turkey in 1805. Like most of his other horses, Vizir was a grey Arab, specially trained to Napoleon’s commands because he was rubbish at riding. Napoleon’s tendency to become unseated possibly explains his preference for short horses, though this may also have been a ploy to make himself look taller. Vizir maintained his noble republican bearing through the reign of Sarkozy, but the strain is beginning to show. An ardent republican to the end, Vizir chose to accompany the Emperor into exile on St Helena in 1815, preferring endless games of Risk and months of staring gloomily at the mid-Atlantic drizzle to living under the tyranny of Louis bisc-huit, the Bourbon king. His reward for loyalty was a special airtight, climate controlled display case in Les Invallides, Paris and all the sawdust he could ingest. Lucky chap. I’ve learned almost nothing from writing this week’s blog, but isn’t it fun looking at noble warhorses turned into misshapen, shop-soiled horrors? I think perhaps that having your late best friend skinned, cured, stuffed and put on display is not necessarily the best way to say “I love you!” The Duke of Wellington, that paragon of taste and decency, very sensibly had Copenhagen buried (apart from that hoof that he kept and which was later made into an inkstand). How about another one on dogs one day? My limited grasp of the Cyrillic alphabet tells me the big dog in the Petersburg museum case is called ‘Tiran’, i.e. Tyrant – a jolly name for an absolute ruler’s dog. His breed is given as ‘bull-en-bait-ser’ – Bullbaiter??? Looks more like a prehistoric hyena. Seems it’s one of these charmers: http://en.wikipedia.org/wiki/Bullenbeisser – note the alternative Bärenbeisser, so as you say, it’s maybe bear-oriented. Another top-notch post. It seems that Lisette (the horse) must have been on the small side or Lisette (the dog) must have been on the large side. I think both are true. Akal-Tekes are quite small and light, and as Taissa says, one of the dogs was probably for bear-baiting so quite large. I’m surprised at how small all these horses are really. You would have thought kings would go for big and mighty, but perhaps they worried about looking small in comparison.